When it comes to doing something special for your dog, you probably already give him Kong toys filled with treats on occasion. Or maybe even a healthy pooch smoothie. If you really want to mix things up a bit, a fun idea during the hot summer months is to put a cool twist on your dog’s treats by giving him a frozen Kong treat! Stuff your dog’s Kong toy with whatever treats your dog likes, and put some peanut butter (or yogurt, or anything else that’s sticky, gooey, or runny) inside as well. Then, put the Kong in the freezer. 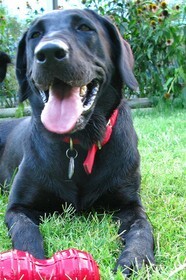 Once the stuff inside the Kong is frozen, give it to your dog as a nice cool treat during the hot summer months. 1. The longer you keep the Kong in the freezer — stuffed with goodies — the more challenging it will be for your dog to get the treats out. Use that to determine how long you want to keep the Kong in the freezer. 3. 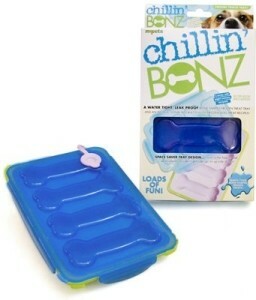 Make sure that your dog has a place to enjoy his frozen (and now thawing!) Kong treat somewhere that is easy to clean — like outside, on the deck or patio. Frozen Veggies Make Simple Dog Treats! 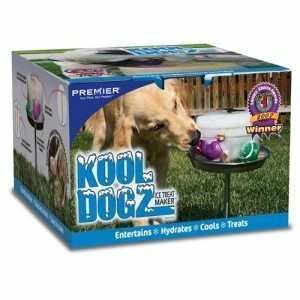 Kool Dogz Ice Treat Maker – Highly rated. 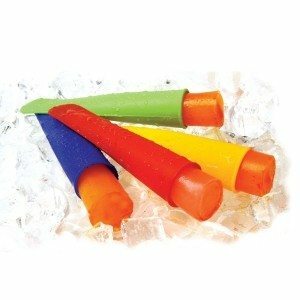 Add your dog’s favorite toys and treats to make a frozen treat toy that your dog will enjoy for hours. 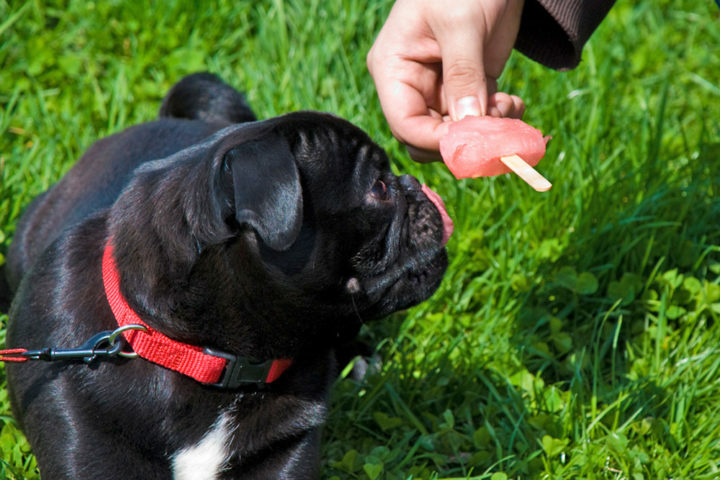 It’s easy enough to make a Cool Dog frozen treat surprise for your dog like this yourself. Just put a few treats & toys inside a bucket (or plastic bowl filled water or chicken/beef broth) and freeze! You don’t really need the raised platform.